I don’t think I’d be far off the mark if I said I was a contentaholic. These days, content is so easy to consume; gone are the days where we have to go out of our way to access it, the ones where our ‘fix’ of content was the magazine that we picked up with the weekly big shop. We are living in the age of technology – where we can access content 24/7 and where our friends have open access to us via messaging services. Seemingly marking ourselves as offline is these days an invitation to pester us even more. 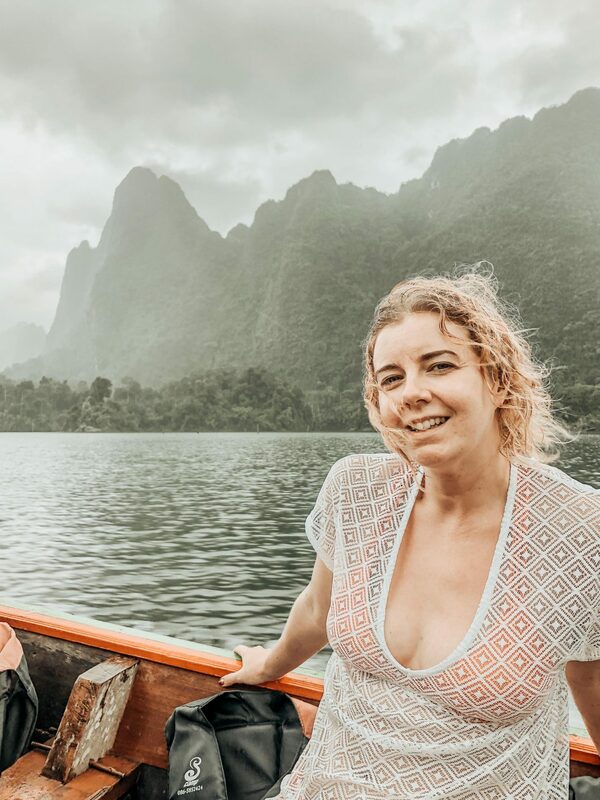 So whilst in Thailand I made a conscious decision to escape reality, to disconnect from those people who drain me, distance myself from content and reconnect with nature. 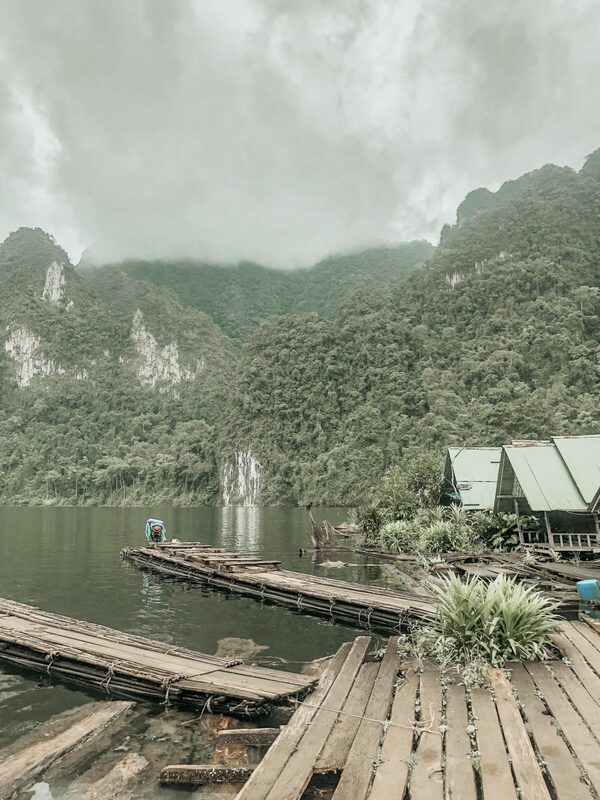 Cheow Lan Lake is something straight out of a Hollywood blockbuster. 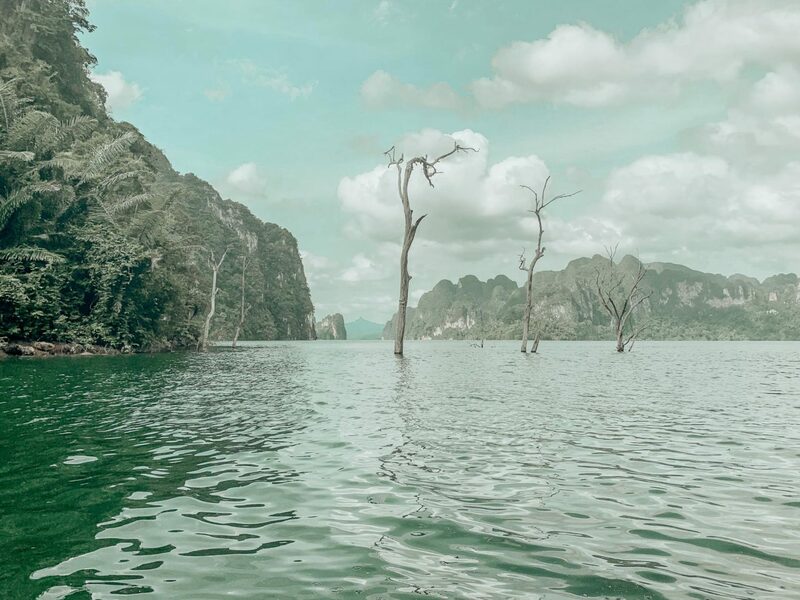 Hidden away in the Surat Thani province in Southern Thailand, Cheow Lan is an artificial lake that was created in the 1980’s as a new, cleaner source of electricity … and the Khao Sok National Park in which the lake is situated is home to a large number of mammals, reptiles and birds. 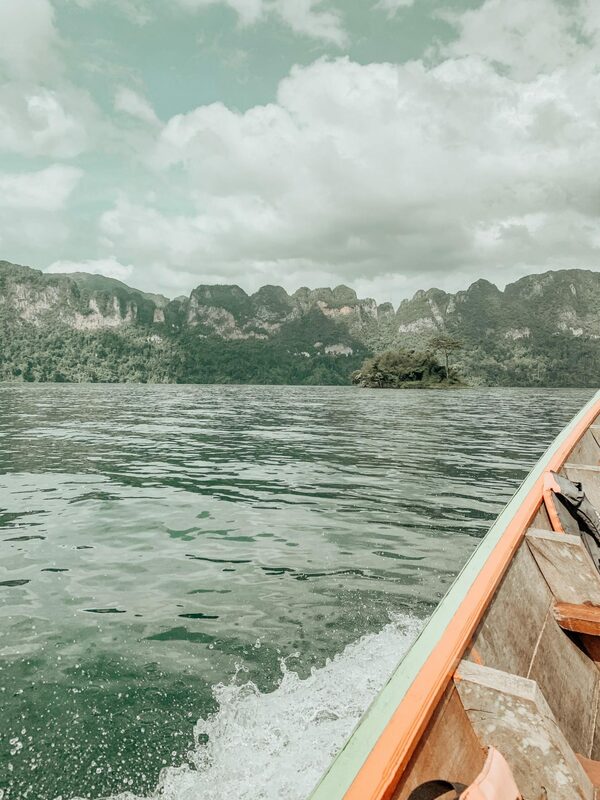 We didn’t find out about Khao Sok until a few days into our trip, whilst we were scouring trip advisor for ‘things to do’ near Khao Lak. 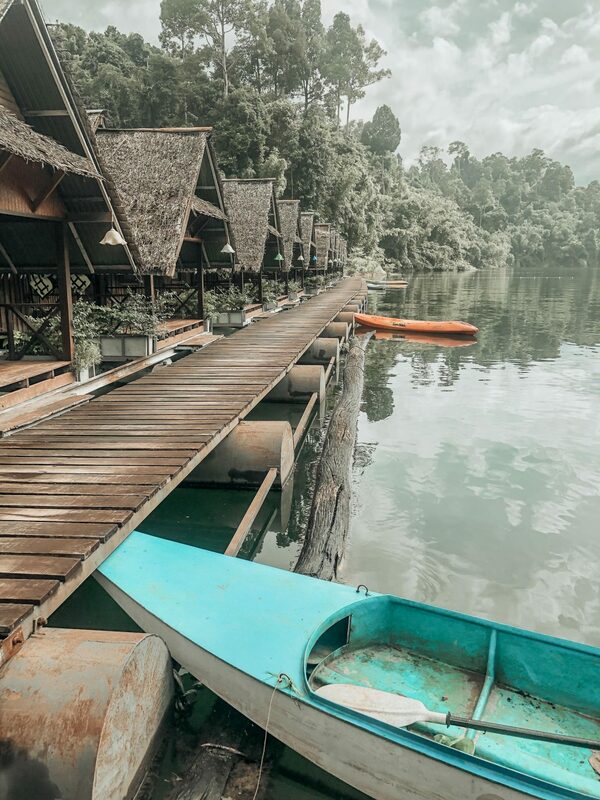 Although when I say it is near Khao Lak, it’s around a two hour drive away, but worth the journey to get off the grid and escape reality for a while. We were lucky enough to be able to team up with a guide thanks to CEL Tours, who not only escorted us to the lake, but also spent the day with us. On arrival at the lake, we were greeted by our long-tail boat for the day and after donning our life-jackets we headed off towards Pakarang Cave. Also known as Coral Cave, Pakarang is actually located on Ha Roi Rai as opposed to Cheow Lan. 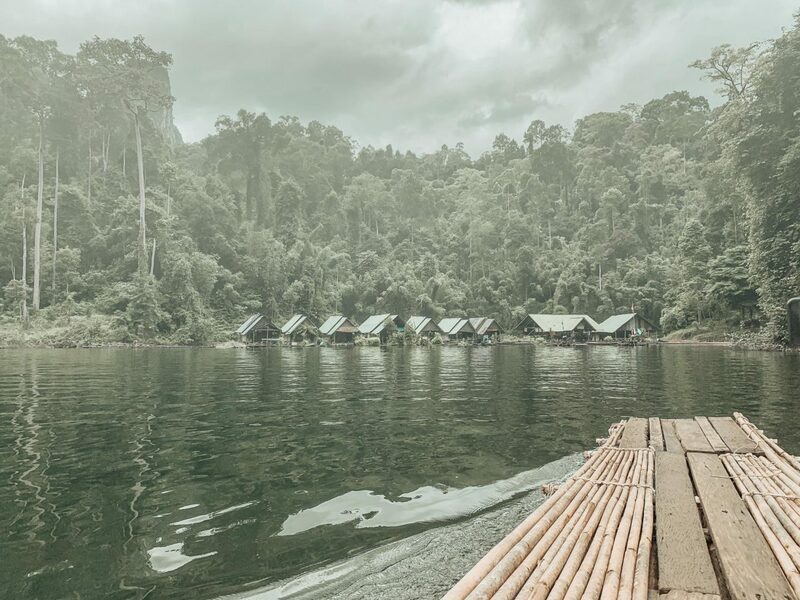 But this gives you a chance to explore the rainforest on foot, totally escape reality and experience something worlds apart from the life we have become accustomed to. Thankfully it stayed dry for our short trek through to the ranger station where would jump on a bamboo raft to the cave, and we got to see macaques, hornbills and some amazing lizards! 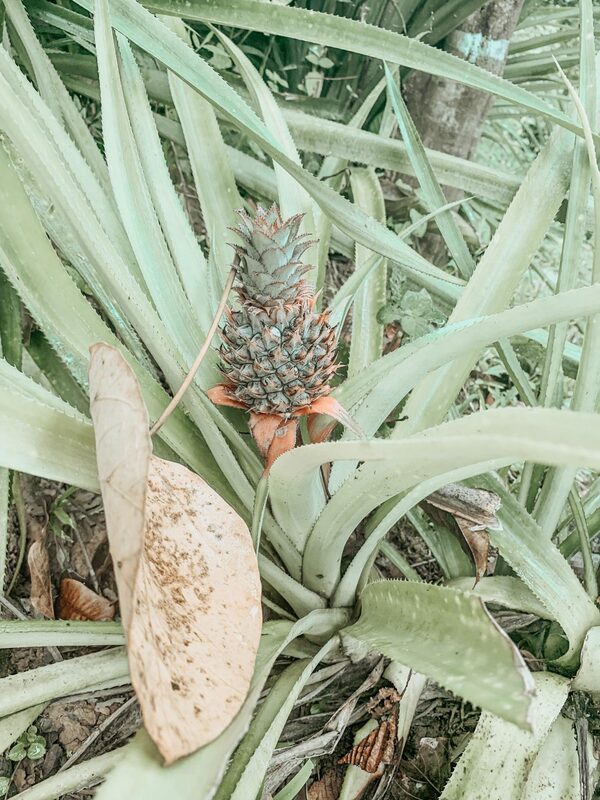 Although it stayed dry, I would not recommend tackling the trek in anything other than a sturdy pair of trainers … even when dry the rainforest floor can be treacherous! The caves themselves are small, but feature some of the most magnificent examples of stalactites and stalagmites that you will ever see. We spent around half an hour or more exploring the caves before heading back to our long-tail boat and for lunch at Praiwan Raft House. 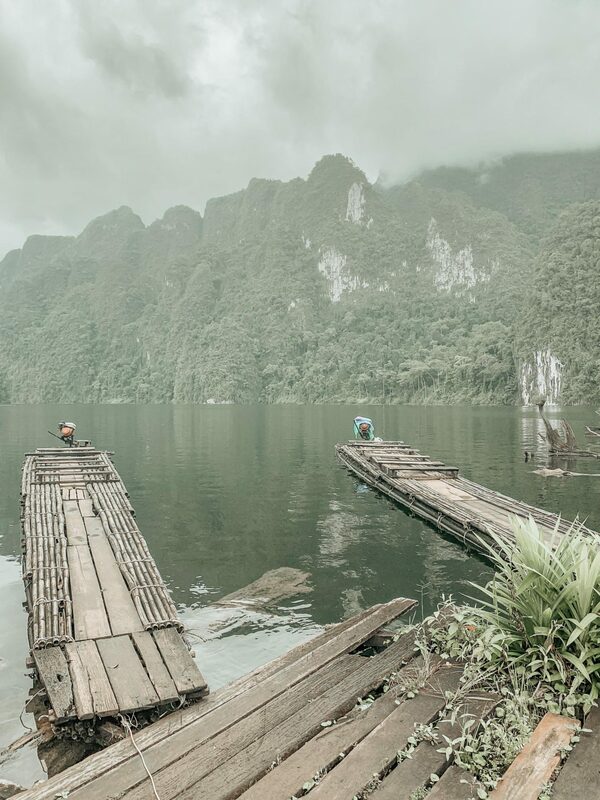 If you are looking to escape reality then Praiwan is for you with no wifi, no phone signal and no internet (except for a short while every evening). 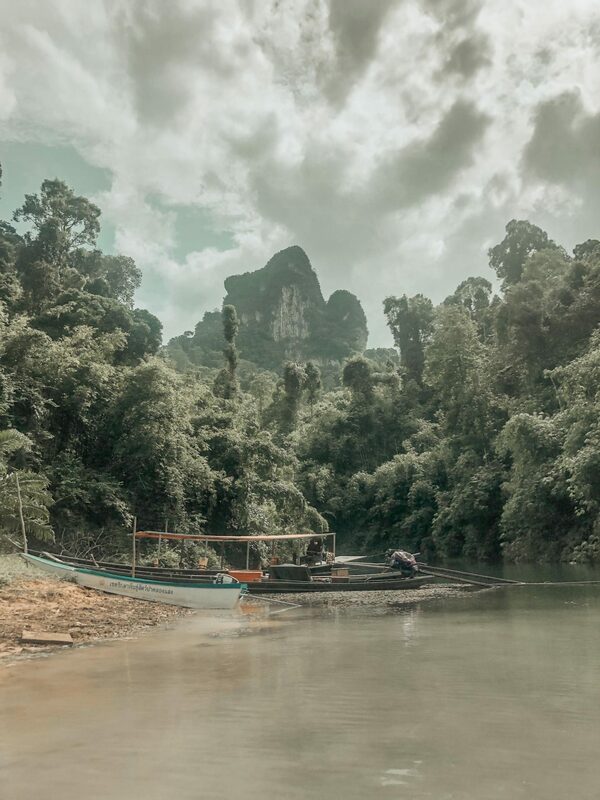 Instead of all of the distractions of home what you get is spectacular limestone vistas and the soundtrack of the jungle. 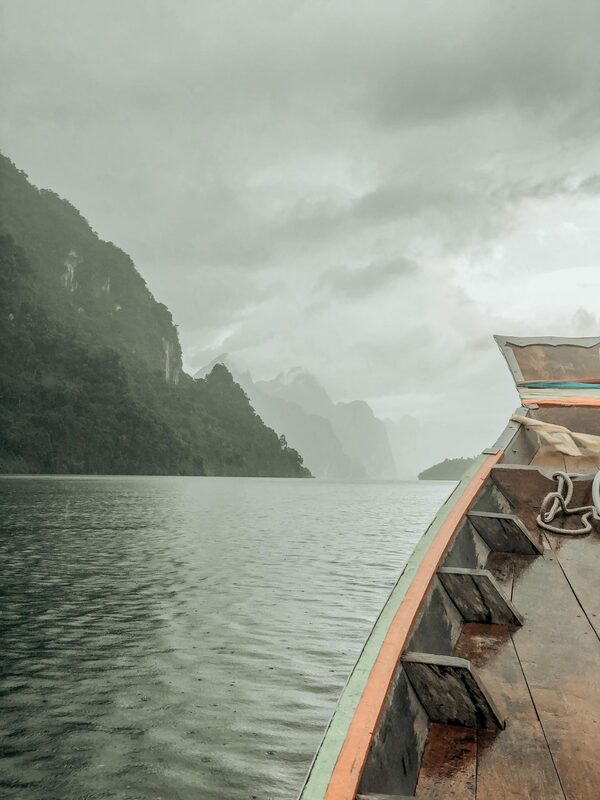 After lunch we headed back onto our boat and out onto the lake once more, experiencing the changeable nature of the Thai weather and being fortunate to not only see the lake when accompanied by clear blue skies, but also when set against the dramatic and storm filled skies too. 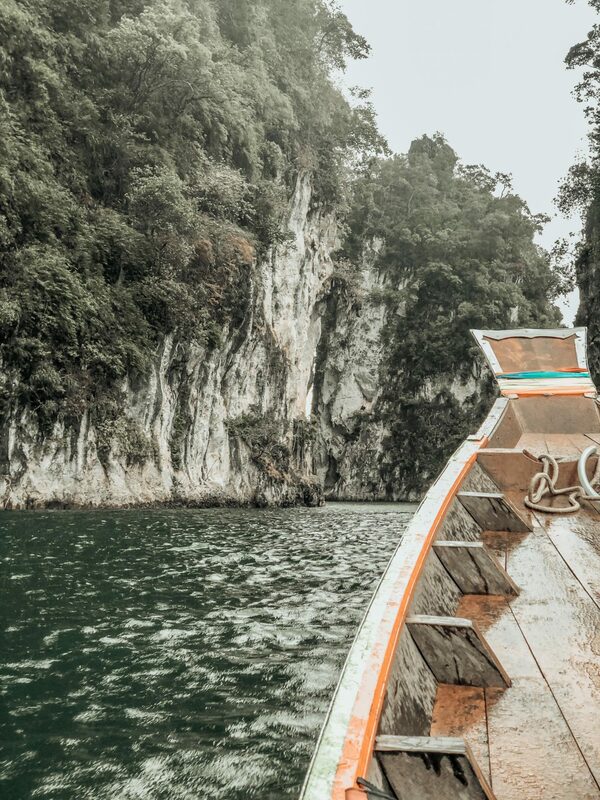 It honestly felt as though our day was over in a flash, and soon we were back on dry land (although we were anything but dry) and making our way back to Khao Lak. 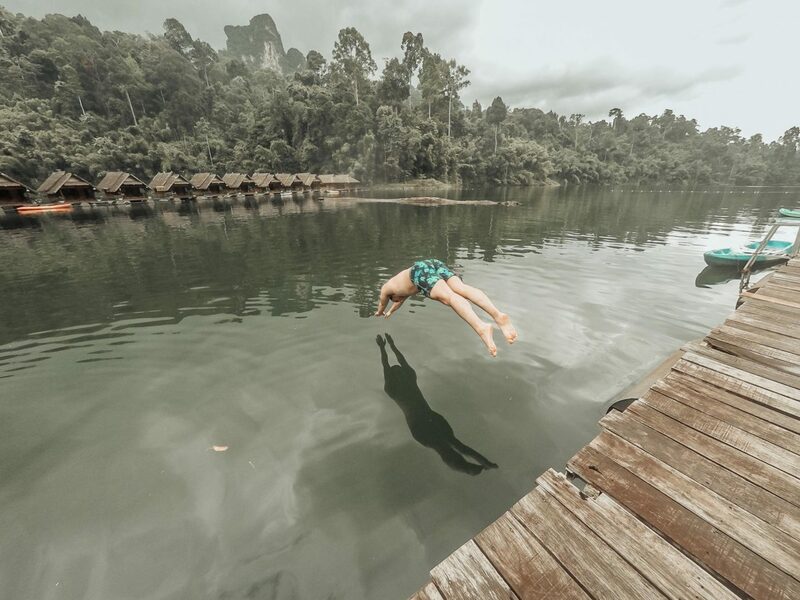 Although Khao Sok has one more treat for us in store. 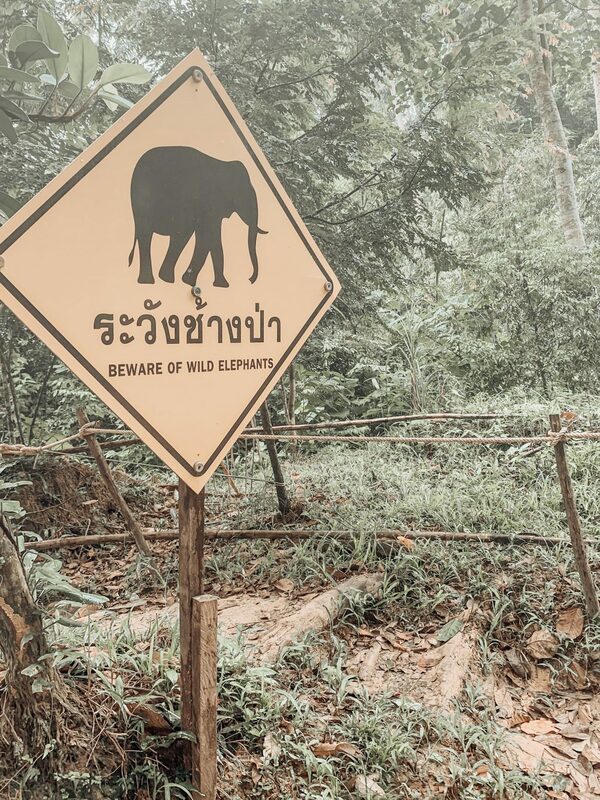 A short drive from the lake, we came across a sight that I don’t think I could have ever dreamed of; an elephant, strolling down the hard-shoulder, without a care in the world. And that’s when I realised that reality is actually quite boring, when the alternative is freedom and nature.